The Generalized Nonlinear Schrödinger Equation (GNLSE) finds several applications, especially in describing pulse propagation in nonlinear fiber optics. A well-known and thoroughly studied phenomenon in nonlinear wave propagation is that of modulation instability (MI). MI is approached as a weak perturbation to a pump and the analysis is based on preserving those terms linear on the perturbation and disregarding higher-order terms. In this sense, the linear MI analysis is relevant to the understanding of the onset of many other nonlinear phenomena, but its application is limited to the evolution of the perturbation over short distances. 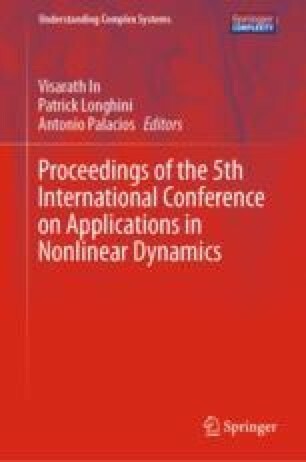 In this work, we propose quasi-analytical approximations to the propagation of a perturbation consisting of additive white noise that go beyond the linear modulation instability analysis. Moreover, we show these approximations to be in excellent agreement with numerical simulations and experimental measurements. We gratefully acknowledge S. Radic for hosting J. B.’s research stay at the Photonic Systems Group, UCSD, financial support from project PIP 2015, CONICET, Argentina, and from ONR Global through the Visiting Scientists Program.